Stock Show University is a FREE educational clinic open to all stock show youth and adults, compliments of Sullivan Supply and The Cattle Shop. We will be hosting clinics at shows around at this stage New South Wales, Queensland, Victoria and South Australia, including Beef Expos, major shows, Junior heifer shows as well as local area shows; all FREE of charge! Clinics range from convenient hour-long clinics as well as some hands on clinics. The best and most talented ‘professors’ in the business will focus on all areas needed to achieve the Championship look - animal selection, showmanship, feeding, daily hair and animal care and show day grooming/clipping. 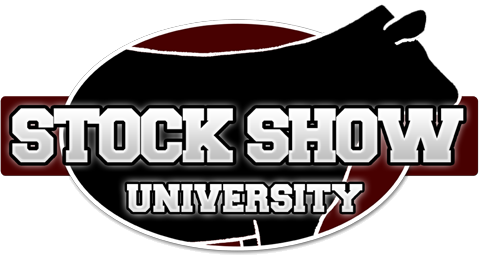 If you want to host an educational Stock Show University clinic at your farm/ranch or local show, let us know. The contact information is under the “Host A Clinic” tab shown above. Thinking of the Youth with the future in mind!